A leopard never changes its spots. On 12 June, 1975, Justice Jagmohanlal Sinha of the Allahabad High Court disqualified Indira Gandhi from Parliament and slapped a six-year ban on her from occupying any electoral post after holding her guilty of electoral malpractices. "The respondent no. I (Indira Gandhi) was thus guilty of a corrupt practice under section 123(7) of the Act.....accordingly stands disqualified for a period of six years from the date of this order," pronounced Justice Sinha. That set in motion the wheels of darkness. On 24 June, Justice VR Krishna Iyer (a vacation judge of the Supreme Court) granted her a "conditional stay". The very next day, Gandhi ushered in the darkest era of Indian democracy. On 7 November, 1975, bang in the middle of Emergency, the Supreme Court overturned her conviction, as Hindustan Times recalls in a report. Congress' misguided and audacious attempt to impeach the Chief Justice of India the very next day the Supreme Court delivered a decisive verdict on the Justice BH Loya case shows that Indira Gandhi's spirit still resides safe and strong in her grandson. Though cast in the mould of strength, Emergency was a weak move from a beleaguered leader who lacked the strength and conviction to win a battle fair and square against political opponents. 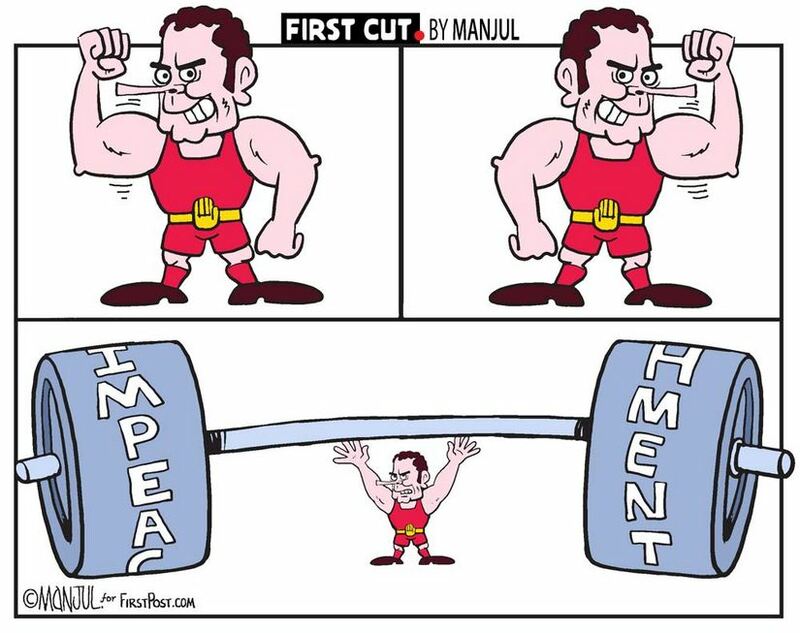 The unprecedented impeachment notice against the CJI initiated by Rahul Gandh-led Congress is similarly a sad attempt by a cornered leader who — unable to politically match up to the BJP — is systematically undermining every democratic institution to compensate for his inadequacy. Just as India paid the price for Indira's folly, so are we to experience another dark chapter in Indian democracy authored by her grandson. When one pillar of democracy is set against the other, there are no winners in the battle except a comprehensive loss for the republic. This attempt to browbeat the Chief Justice of India and undermine the judiciary has little chance of succeeding not merely because Congress, its political cohorts, and fellow travellers lack the numbers, but also because the fabric of democracy is strong enough to withstand these assaults, especially when such moves underlie a diabolical motive. What makes Congress' move even more misguided and the folly more apparent is that its own house is bitterly divided over the move. Some of its senior leaders, including former prime minister Manmohan Singh, have reportedly refused to sign the impeachment motion that was submitted to Venkaiah Naidu, the Rajya Sabha Chairman, on Thursday. Senior Congress leader and former minister Salman Khurshid is another to strike a note of discord. Claiming that he isn't a party to the motion and has not been consulted, Khurshid said: "I am not in the loop. I share two worlds — parliament and law — for me outright conflict and clash between the two is the saddest thing. I have nothing to say except express my sadness…"
In justifying its move, the Congress has claimed that it was acting in the interest of the nation and was constrained to take this step to ensure that judiciary's independence is upheld without which "democracy will flounder". 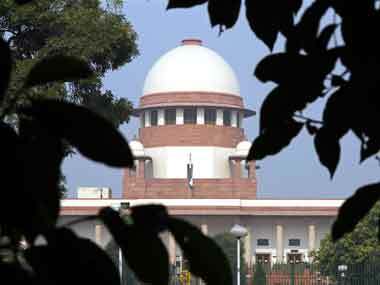 It sought to fire from the shoulders of the four dissenting Supreme Court judges while targeting CJI Dipak Misra. "When the judges of the Supreme Court themselves believe that the judiciary's independence is under threat and democracy in peril, alluding to the functioning of the office of the Chief Justice of India, should the nation stand still and do nothing? Should the people of this country allow the institution to diminish and not protect it both from within and without?," the party said in a statement. "Fair is foul, and foul is fair", uttered the three witches in William Shakespeare's Macbeth. When the rules of the game are inverted then the ones who are undermining democracy pose as its saviors. Congress' claim that it is motivated by a higher ideal in bringing the impeachment motion is spurious. Impeachment of the CJI is tortuous process made expressly so by the Indian Constitution to protect the CJI's office from exactly these kind of machinations that are now unfolding. According to Article 124 (4) of the Constitution of India: "A Judge of the Supreme Court shall not be removed from his office except by an order of the President passed after an address by each House of Parliament supported by a majority of the total membership of that House and by a majority of not less than two-thirds of the members of that House present and voting has been presented to the President in the same session for such removal on the ground of proved misbehavior or incapacity." Moreover, there has to be iron-clad ground of misbehavior on the part of the CJI for such a move to be initiated. Have these conditions been met? Soli Sorabjee, a former attorney-general of India, doesn't think so. 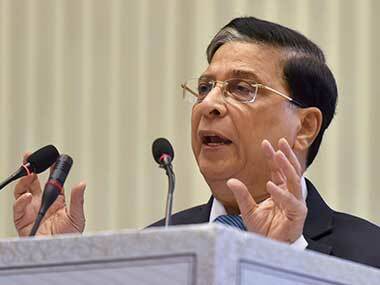 "A CJI is not above the law, he can be impeached, but only on grounds of serious misbehavior. 'Serious misbehavior' cannot be concluded from the fact that certain orders of his were wrong, is not correct.. goes beyond the function of the judiciary. If you try to impeach the CJI on grounds like this, then my god the very independence of the judiciary will be at stake… I am very sorry that people who should know better have signed the impeachment motion," he told Mirror Now TV channel. Talking to The Indian Express, senior jurist Fali S Nariman said Government of India Act in 1935 gave CJI the authority for being Master of the Roster and he certainly could not be impeached for invoking the authority the position gave to him. We therefore have a situation where legal eagles believe the act of setting the motion for CJI's impeachment has no moral, legal or ethical standing. 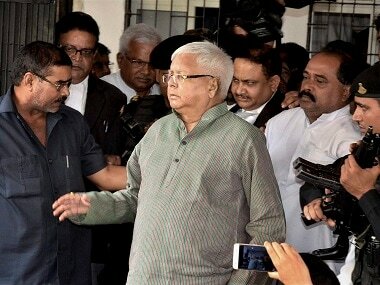 It will harm the independence of the judiciary and will be detrimental for Indian democracy. And yet, Congress cites impeachment as the "only remedy" to save India's democracy. 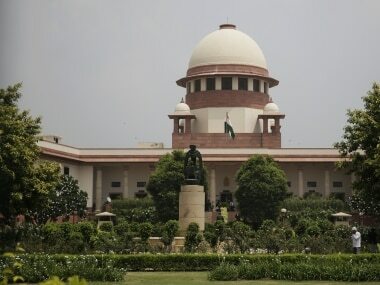 In their dismissal of the petitions seeking an investigation into Judge BH Loya's death, the Supreme Court Bench comprising CJI Misra, Justice DY Chandrachud and Justice AM Khanwilkar called the PILs "frivolous" and the "spate of scurrilous allegations" a "frontal attack" on the "independence of the judiciary". The Court made its fear explicit that a concerted effort led by political motivations is under way to "misuse the judicial process". Para 74, Page 109 of the judgement reads: "Repeatedly, counsel for the petitioners and intervenors have attempted to inform the court that they have no personal agenda and that they have instituted these proceedings to protect judicial independence…But as the submissions have evolved, it has become clear that the petition is a veiled attempt to launch a frontal attack on the independence of the judiciary and to dilute the credibility of judicial institutions. Judicial review is a potent weapon to preserve the rule of law. However, here we have been confronted with a spate of scurrilous allegations. Absent any title of proof that they are conspirators in a murder the court must stand by the statements of the judicial officers. The judges of the district judiciary are vulnerable to wanton attacks on their independence." Throughout the expanse of the 114-page judgement, the Supreme Court repeatedly expresses apprehensions that courts are being dragged into settling personal scores and judiciary is becoming the favourite ground for political battles. "Business rivalries have to be resolved in a competitive market for goods and services. Political rivalries have to be resolved in the great hall of democracy when the electorate votes its representatives in and out of office," said the Court. “It is a travesty of justice for the resources of the legal system to be consumed by an avalanche of misdirected petitions purportedly filed in the public interest which, upon due scrutiny, are found to promote a personal, business or political agenda," it said. That the apex court's words were not lightly spelt and fears were not unwarranted have now been borne out by the action of Congress party. It doesn't require foresight to understand the motivations that drove Congress into moving the motion. The party is well aware that it will suffer a sorry defeat. There are three reasons behind the ill-conceived step: One, pressure tactics. The motion, whether it is thrown out or not, will serve as a rhetorical and political pressure on the office of the CJI ahead of verdicts in politically sensitive cases such as the Ayodhya Ram Mandir Babari Masjid dispute. Two: Intimidation tactics. The Congress is sending a subliminal message to the judiciary that if verdicts are not to its liking, it knows ways in which judiciary can be arm-twisted to fall in line. Three: Media circus. The motion's fate notwithstanding, the move is sure to generate heat and noise in media. It also hands Congress the chance to cast aspersions on verdicts and undermining the moral authority of the judiciary. 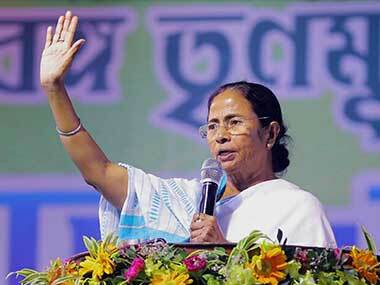 In both cases, it hopes to gain a political fillip from the controversy. Rahul Gandhi and the Congress must know that history has an odd way of getting even.